"I am glad I went through these programs with a professional service provider like Assessment Services." 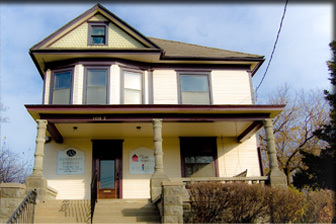 Assessment Services is located just a couple blocks from the Johnson County Court House. From Highway 35, exit onto Santa Fe (135th Street) and travel west. After one and a half miles, turn right on N. Chestnut. One block to E. Poplar, go left. Park on the street in front of the house.